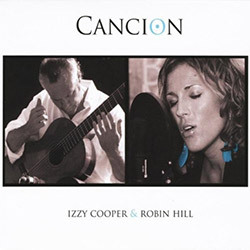 Izzy’s latest independent release collaborated with world-renowned classical guitarist Robin Hill (www.robin-hill.co.uk) demonstrates the sheer intimacy between the voice and guitar at its best. Every song has been carefully chosen to compliment the unique and challenging skills on the guitar and shows Izzy’s vocals in a whole new light. Having lived in Spain for eight years, it is evident you can hear the natural influences of her surroundings. Izzy explores sheer depth, vulnerability, freedom and unimaginable fiery emotion that you have never heard before. 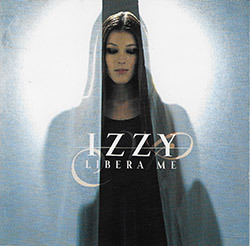 The combination of Robin’s passion and perfection for Flamenco, Izzy’s love for Spanish tradition and both their openness for exploring all kinds of repertoire, displays an electric synergy between both musicians rounding off this magical album. 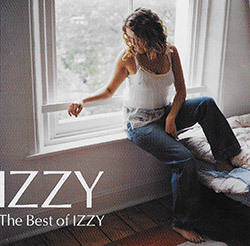 This lighter album captures Izzy singing for the very first time musical favourites from the West End requested by you, the fans! 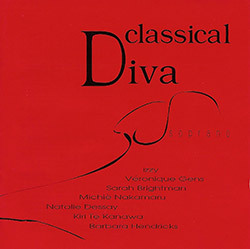 These popular songs truly display not only her unique classically trained voice but also touches upon her darker and somewhat richer tones. There is a sense of freedom in her voice that you may not have had the privilege to hear before, a depth that has developed with age and a little sense of humour that completes this uplifting album. If you are one of those who not only appreciates the classics but also enjoys the wonderful world of musicals, this cd would be great to add to your collection. Released especially for Japan. This CD has a combination of songs featured from the albums Ascolta and New Dawn and ends with Japanese folk music including the very popular ‘Shima Uta’ (Island Song). “Shima Uta” is a 1992 song by the Japanese band The Boom. It was written by the lead singer, Kazufumi Miyazawa, based on his impressions from visiting Okinawa. It is the band’s best selling song, well known throughout Japan and Argentina, and one of the most widely known songs associated with Okinawa. Okinawan musical instruments and Okinawan vocabulary have been incorporated into the song. It became a smash hit in Japanese market and the name shima-uta came to be associated with Okinawa pop in mainland Japan. Izzy had the privilege of singing with Boom and Kazufumi Miyazawa in Japan. Released especially for USA. 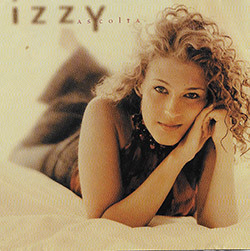 This CD has a combination of songs featured from the albums Ascolta and New Dawn and ends with a video featuring Izzy’s signature tune ’My Love is like a red red Rose’ as well as the very famous duet called ‘The Prayer’ sung with Daniel Rodriguez. Daniel Rodriguez is a Puerto Rican American operatic tenor from New York City. He became known as “The Singing Policeman” in his former work with the New York City Police Department due to his role as one of the department’s designated National Anthem singers. In the aftermath of the September 11 terrorist attacks, he received widespread attention with his rendition of “God Bless America”, which he sang at memorial events and on television. Izzy had the privilege of singing, recording and making a video with Daniel and they performed together at the Crystal Cathedral in Garden Grove, California, broadcast worldwide on Hour of Power. This third collaboration with ex punk-rocker and Blondie producer Craig Leon–sustains Izzy’s idiosyncratic and personable mission to blend the smooth essence of classical music with the spirituality of folk songs from around the world. The duo rework well-known classical pieces, choosing evergreens such as Handel’s Lascio Ch’io Pianga, Mozart’s Sull’ Aria, Puccini’s Un Bel Di Vedremo and Rimsky-Korsakoff’s moving Sheherezade Fantasy before embarking on a host of international folk melodies like “Greensleeves” from England, “Qui C’est Celluy” from France, “Suo Gan” from Wales and “The Water Is Wide”, an American song popularised by Bob Dylan. With New Dawn, Izzy elegantly shows us that simple songs can contain everlasting beauty and complex classical pieces can be presented in an accessible and breath taking way. Identical to ‘Ascolta UK’ but adding her popular rendition of ‘Shima Uta’ (Island Song). 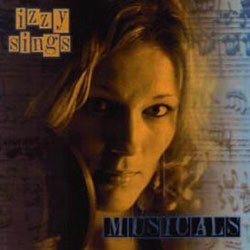 Izzy forges an individual path between classical, MOR and folk, reworking famous classical and opera melodies. 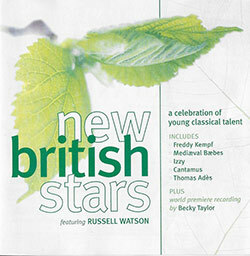 The songs are largely sung in English and electronics are kept to an atmospheric minimum. The famous “Hovis” music from Dvorák’s “New World” Symphony is used as the basis for the sentimental ballad “Going Home”. 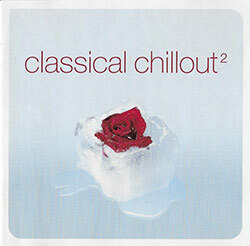 Albinoni’s “Adagio in G minor for Organ and Strings” becomes the introduction to “Una furtiva lagrima” and Borodin’s “Stranger in Paradise” is transformed into “Song of our Homeland” both complemented by lush orchestral arrangements of folk stalwarts, “My Love is Like a Red Red Rose”, “Down by the Salley Gardens” and a striking “The Lost Lady Found”. This is a sensual, gentle album that has charm in its curious hybrid way. I first heard this beautiful traditional Scottish Folk song by Robert Burns back in my University days where I studied at the Guildhall School of Music and Drama. A young Scotsman serenaded us during a student celebration of sorts! His tender voice and sentimental words about new, fresh and young love, deeply moved me. I immediately wanted to embrace this song and urged my producer Craig Leon to arrange a simple but highly emotive rendition to add to my album ‘Ascolta’. 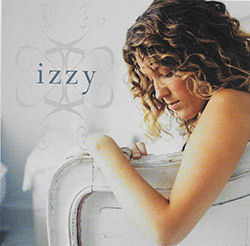 In Izzy’s debut album, she teamed up with Blondie producer Craig Leon in the summer of 1998 whilst still a student, and broke away from the conventional path of other graduates of the Guildhall School of Music to make a classical album with a difference. 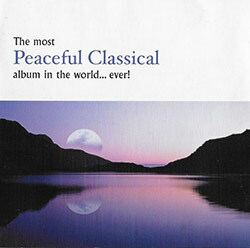 This is an album of famous pieces as well as original compositions. She and Craig have made unique arrangements of such favourites as Libera Me from the Faure Requiem and Bailero from the Songs of the Auvergne – a track originally made famous by Kiri Te Kanawa – and co-written several of the other tracks including Amor and Let Me Sleep (dedicated to her late Nana Lilly) Her clear, beautiful voice captures each note of every song with equal resonance and clarity. Hailing from England her lyrical stylings give new life to the material she covers. This is a wonderful collection of pieces, that show something different and totally appealing about her voice, which is beautifully mesmerising and makes for a great relaxing experience. 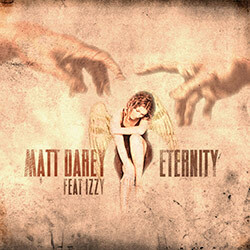 Izzy sings fantastic vocals taken from Opera and Matt Darey has perfectly adjusted them to his music. Matt Darey is an English trance music producer and a member of Lost Tribe. He is known for his work in the Euphoria trance series and for ‘Gamemaster’ and his remixes of Agnelli & Nelson’s “El Niño”. 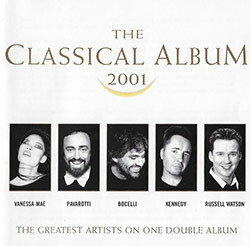 Matt has sold over two million albums and singles with numerous top 10 and top 20 chart hits. The connection between these two artists has made this uplifting trance tune popular world wide. 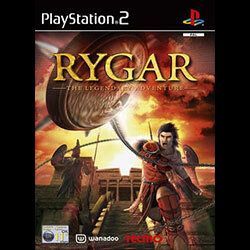 Rygar: The Legendary Adventure, released in Japan as Argus no Senshi (アルゴスの戦士), is a console game for the PlayStation 2 first released in November 2002. The game is inspired by Greek and Roman mythology and has many enemies and worlds named after them. The music from the game was composed by Takayasu Sodeoka, Riichiro Kuwabara, and Hiroaki Takahashi. 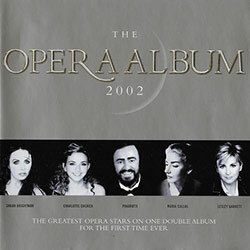 The soundtrack for the game includes 27 tracks, including the main theme “Wish,” performed by opera singer Isobel Cooper (Izzy) recorded at Abbey Road studios. In the video the female character has been based on Izzy and overall the main theme has helped make this game a huge success. 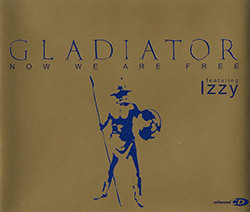 Now We Are Free is a trance take on the well-loved theme to the film Gladiator. Featuring the exquisite vocals of the hugely talented classical vocalist and Brit Nominee Izzy, this timeless track has been tearing up dance floors all over the country. A perfect slice of euphoric trance guaranteed to be ‘the’ Ibiza tune of any summer, reaching a ‘maxiumus’ chart position in the TOP 20. 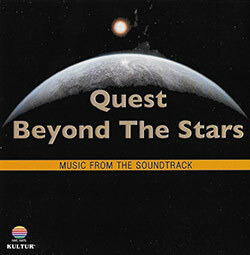 Beyond the Stars is a stunning album made in collaboration with NASA and the Science Museum in London and featuring images from the Hubble telescope and other archival sources from NASA. These visually incredible images are used as a backdrop to classical pieces and songs inspired by the cosmos. 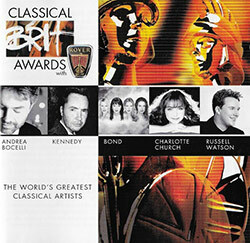 The show was recorded live in London and the music is performed by Quest, a well-respected instrumental orchestra ensemble from Europe, and features special guests Isobel Cooper (platinum selling British Classical Cross-Over vocalist) and Scandinavian violinist & recording artist Charlie Siem. Songs and pieces performed in the special include: Fly me to the Moon, Rocket Man, Space Oddity, The theme from ‘2001 Space Odyssey’, Beethoven ‘Ode to Joy’ and other original soundtrack material. 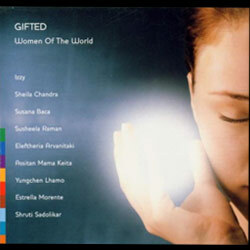 Gifted: Women of the World featured on Peter Gabriel’s label Realworld, collects 12 songs by nine female singers from around the globe and encompasses musical styles from Europe, Africa, Asia and South America. Gifted is seemingly targeted at listeners unfamiliar with these artists, and as a taster it offers a good mixture of songs. Izzy sings “Song to the Siren” by Tim Buckley. A beautiful atmospheric sound capturing the idea of sea travel and distant haunting voices in an instrumental arrangement around a string quartet and synth. Her voice is simple and allows the words to ring out. A portion of the proceeds from albums sales go to WITNESS, a group co-founded by Peter Gabriel that equips human rights activists with modern technology like video cameras to further their cause. This album is easy to listen to and contains songs everyone would find applicable in some way to their lives and contains a good mix of contemporary and traditional works.